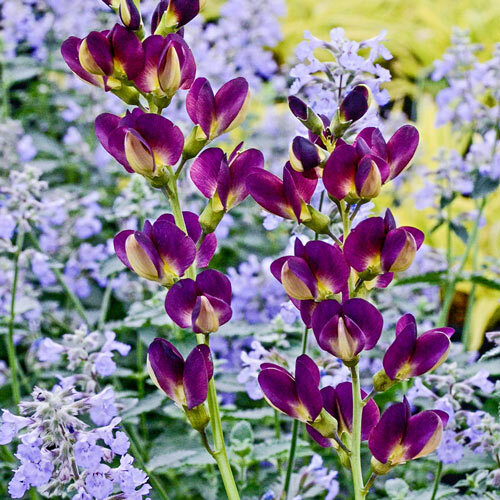 Flower FormReddish-purple pea-like flowers are borne on upright spikes above the plant. PruningRemove previous years growth in late winter/early spring. 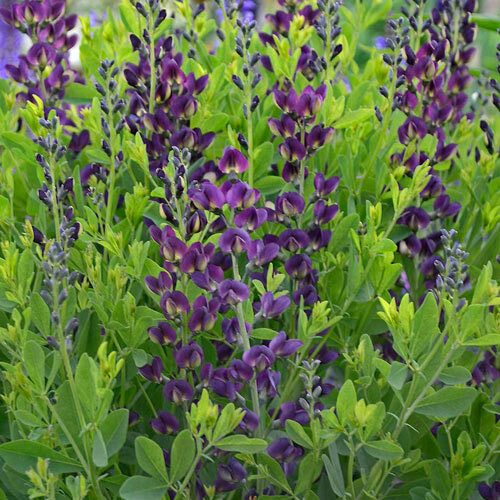 Unique CharactersticsPerennial Resource: 'Grape Taffy' a new Baptisia developed by Hans Hansen at Walters Gardens, Inc. One of the most compact Baptisia to date. 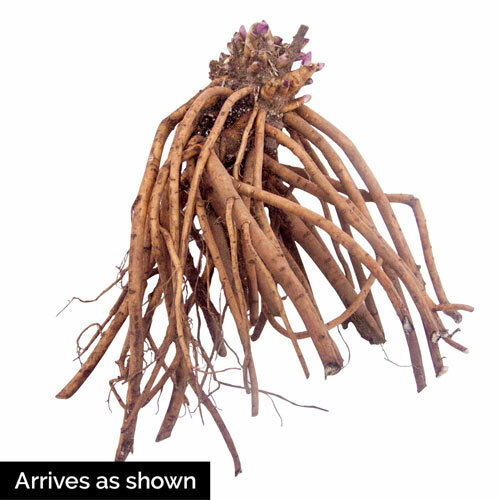 Coming in at under 2 1/2 feet tall, this naturally compact plant stays an ideal size in the retail pot. Spikes of deep reddish-purple flowers appear in early summer, reminiscent of grapes. Each flower is accented by a buff yellow keel. 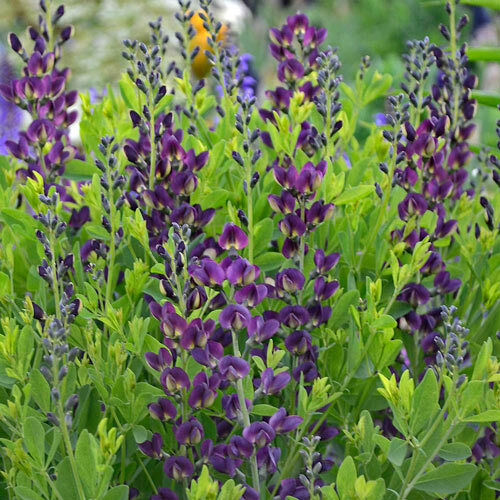 Extremely long-living perennial could be used instead of a shrub in landscape settings, with minimal care required to thrive year after year.